morgan city supply – of louisiana, Inc. Thank you for visiting Morgan City Supply of Louisiana online. 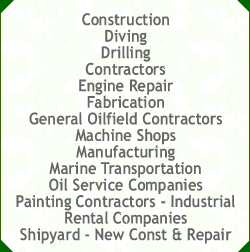 Take a look around to see some of the many products and services we offer, and please don’t hesitate to call us, email us, or come to us with your questions. Let us show you why Morgan City Supply has been a leader in serving the people and industries of South Louisiana for 65+ years. We hope our website will assist you as a great resource of information about Morgan City Supply’s products and services. MORGAN CITY SUPPLY OF LOUISIANA, INC.